Nara is located at Kansai-area in Japan. It’s possible to visit Nara as a daytrip from Kyoto and Osaka. Thirteen hundred years ago, Nara was the imperial capital of Japan. 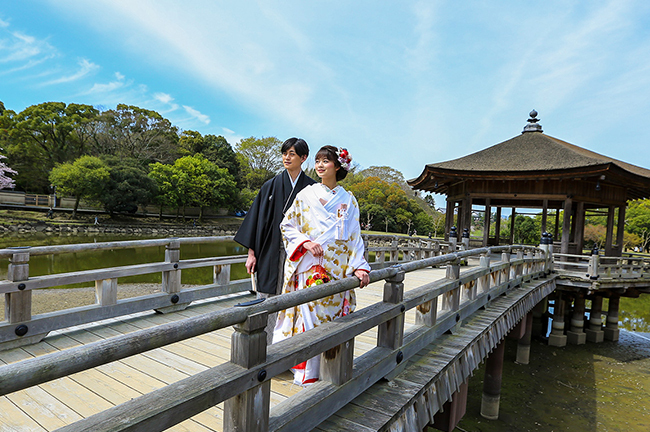 It remains full of historic treasures, including some of Japan’s oldest and largest temples. 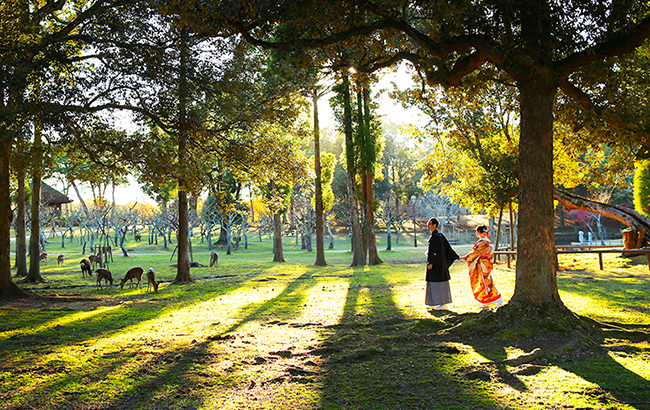 The main attraction in Nara are the deer that leisurely stroll through the park. 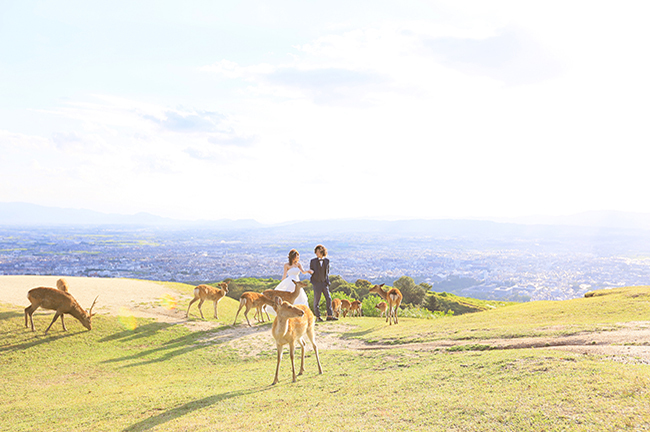 You can capture a happy moment with the lovely deer there! 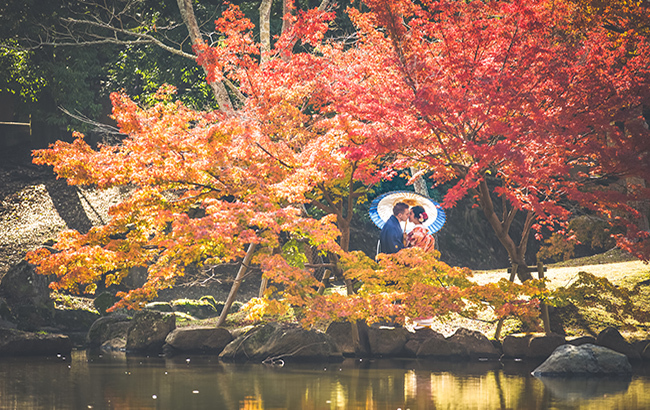 One of the most popular spot located at Nara-Park. Ukimido temple reflected on the surface of the water is so peaceful and pretty. 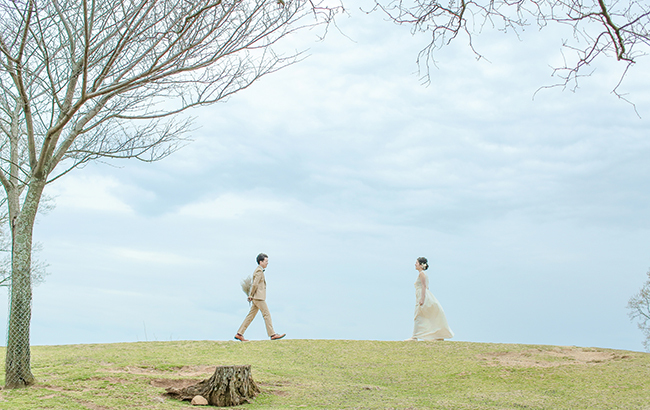 You can shoot with the Background of traditional "Machiya" style here. It's a great place to stop and enjoy the beautiful view. Mt. Wakakusayama is the grass covered mountain behind Nara Park. As known as the attractibe night view seen from the top of the mountain.